Energy Giving Back - "Blues for Cystic Fibrosis". Recorded at Findhorn Studios in Scotland and in Houston, Texas, this music CD of blues & jazz is offered by Earth Keeper founder, author James Tyberonn to help find the cure for Cystic Fibrosis. 100% of sales revenue is donated to the Foundation for the Cure of Cystic Fibrosis. James Tyberonn has been actively involved in CF fundraising for the past 14 years, taking part in fundraisers through music that have raised over 1.5 million dollars. These include music events with live performances in Scotland, New Orleans, Houston, The Woodlands, Galveston (Texas) and Aspen, Colorado. 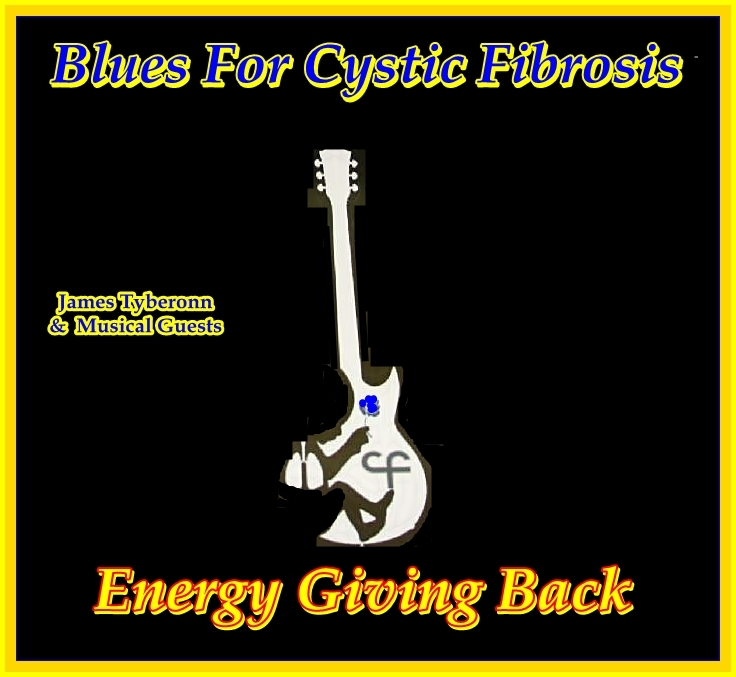 The Blues for Cystic Fibrosis CD was produced by James Tyberonn, who also plays 'blues harmonica' on the CD and is available for $35 + $10 shipping.